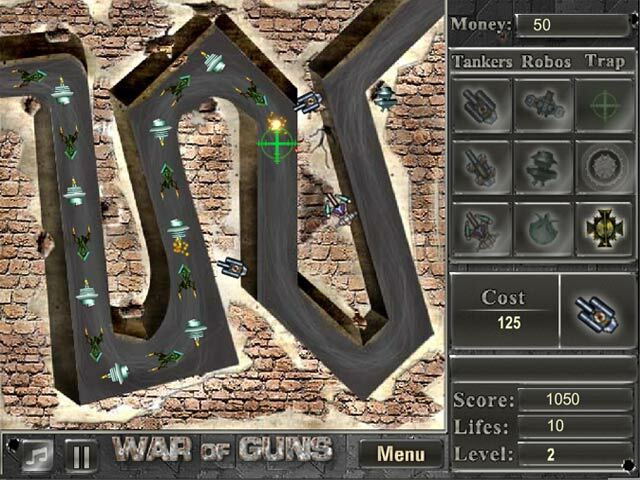 Feel the thrill of a tactical War of Guns. 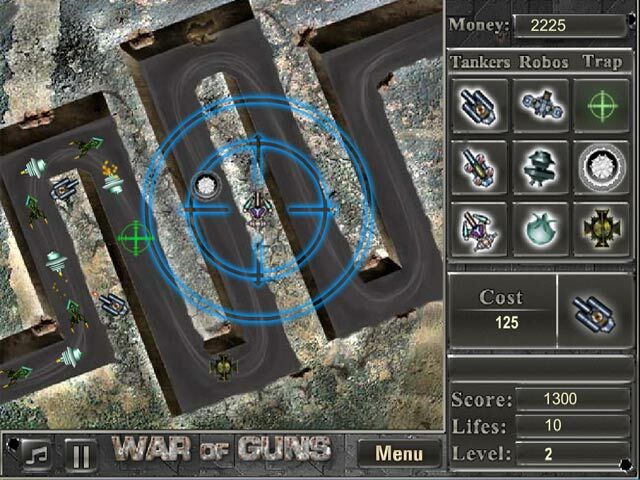 Use a combination of military strategy and massive firepower in this sci-fi tower defense game. Purchase 3 powerful weapon types: robos, tankers, and traps. 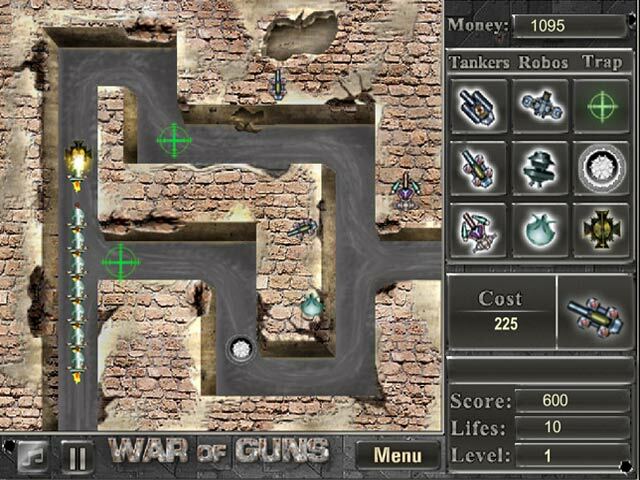 Fire on your enemies with strategically placed robos and tankers. Plant traps to decrease enemy power. Unlock 6 different lands and protect them all. The War of Guns is starting. Are you ready to defeat your enemy? Feel the thrill of war!